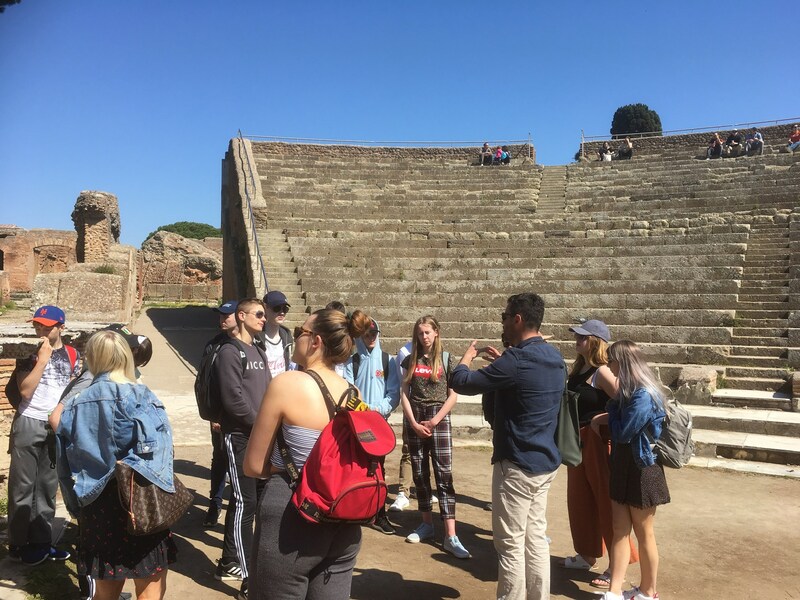 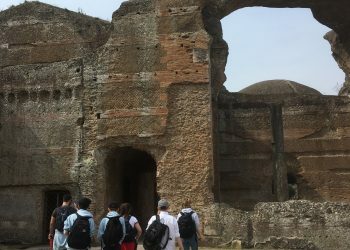 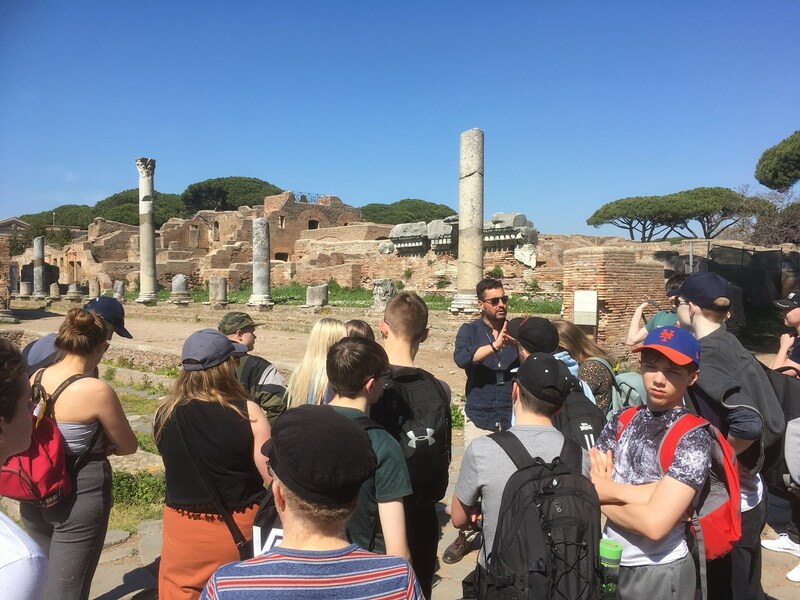 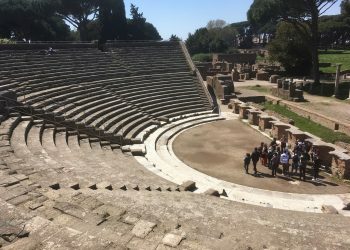 We arrived in a balmy Rome this morning and spent the day visiting the extensive ruins of the ancient Roman port of Ostia. 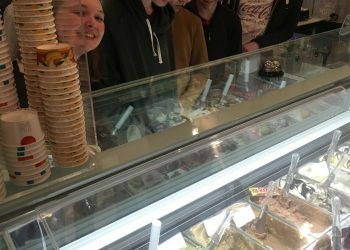 After dinner, we were treated to some amazing gelato. 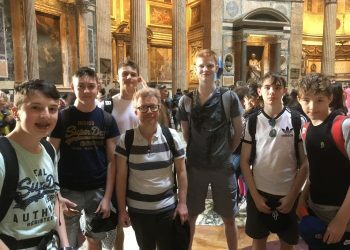 Our second day in Rome was packed with highlights. 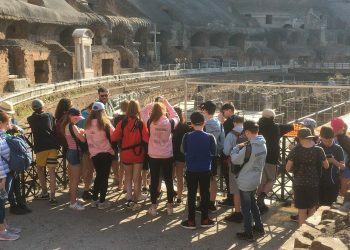 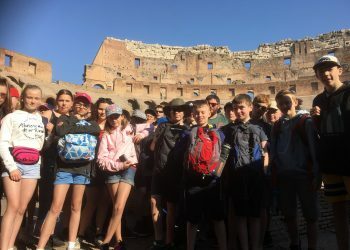 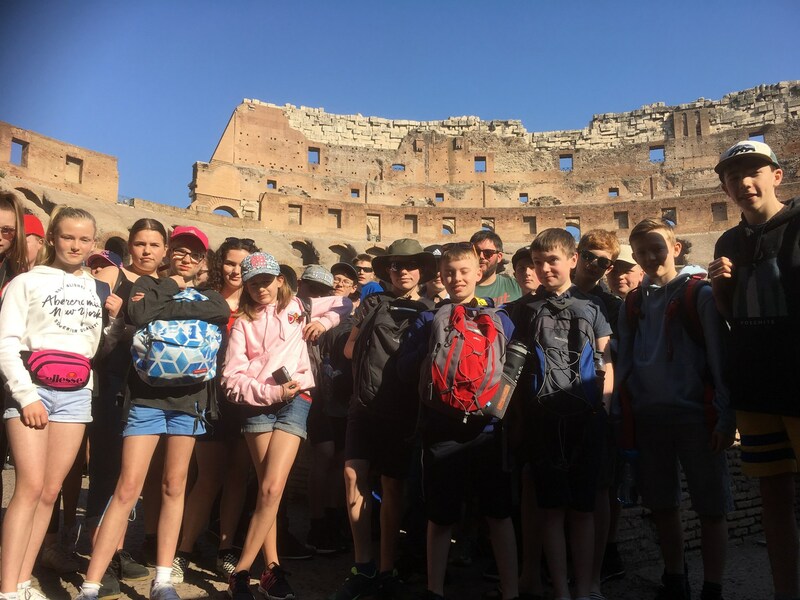 In the morning Dr Nichols gave us an insightful tour of the Colosseum and Roman Forum. 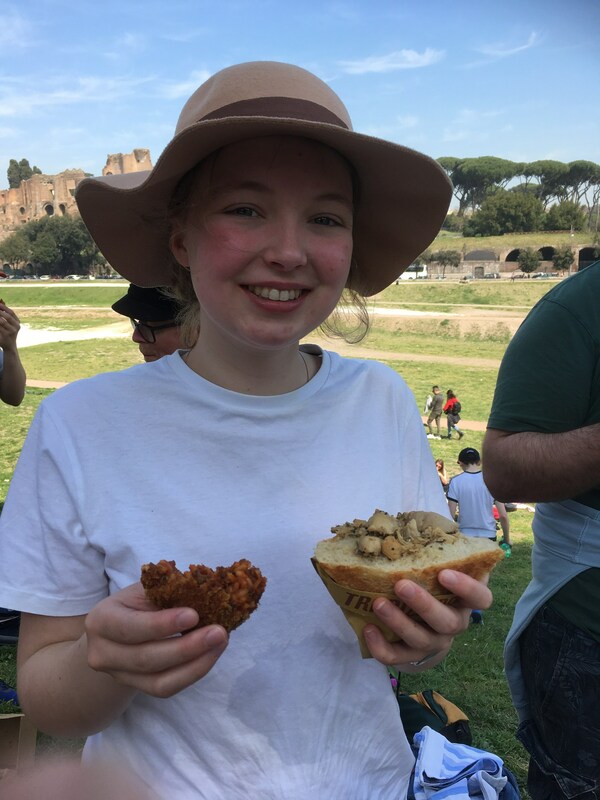 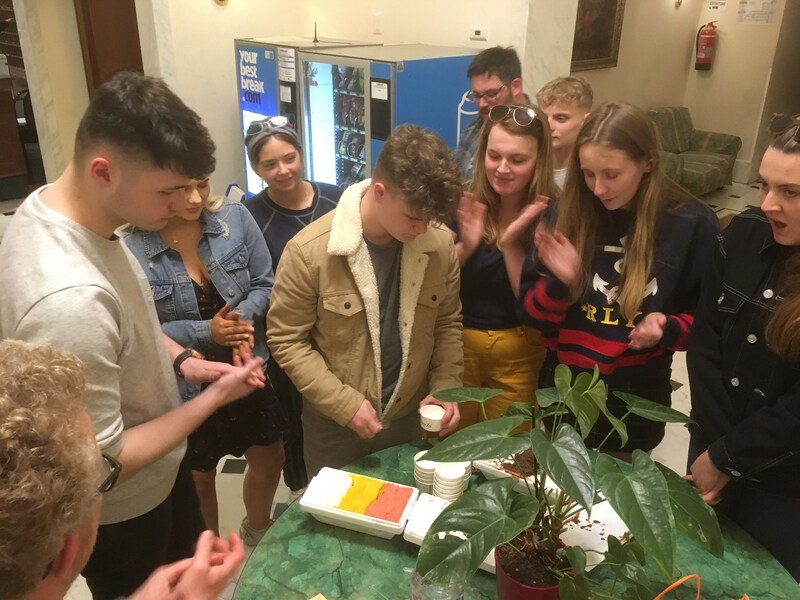 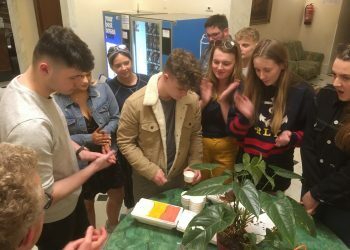 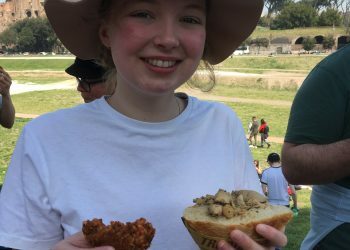 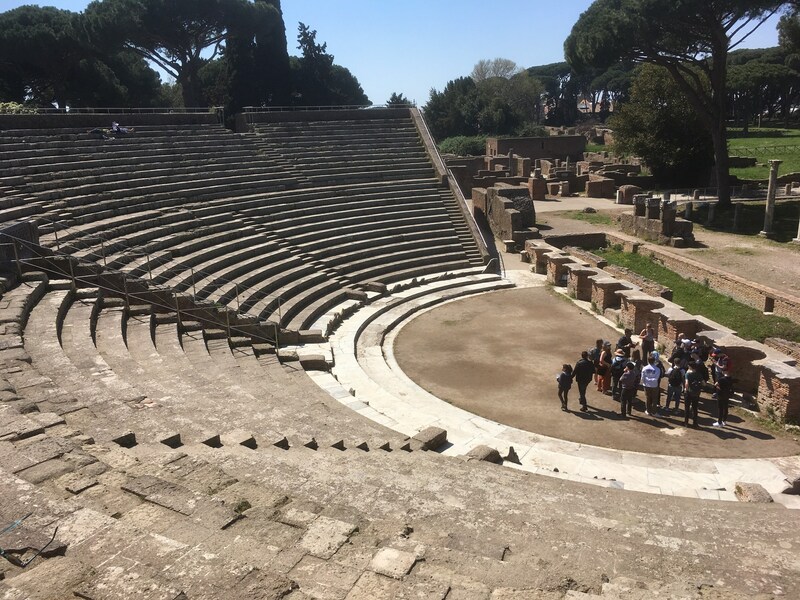 For lunch we picnicked in the Circus Maximus: Our local contact and Rome resident, Andrea (Year 12, North), organised a fantastic street food feast of trapizzino and arancini. 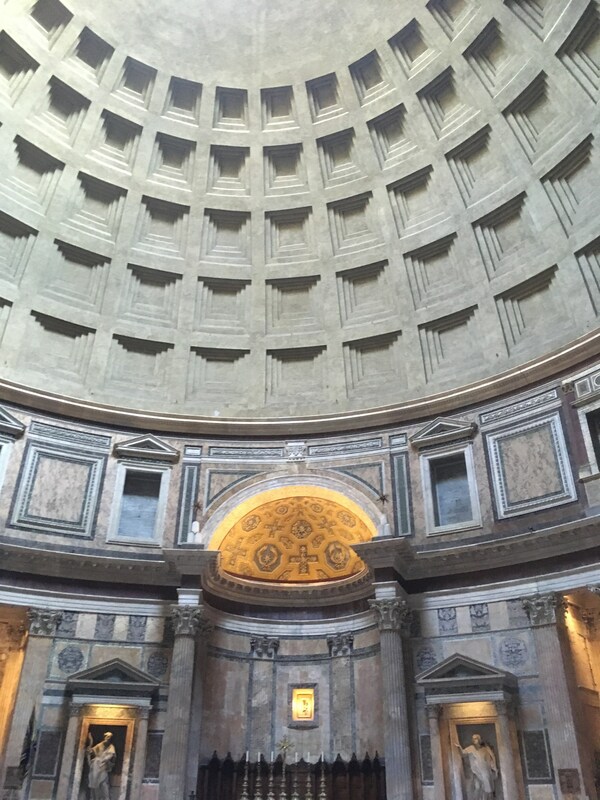 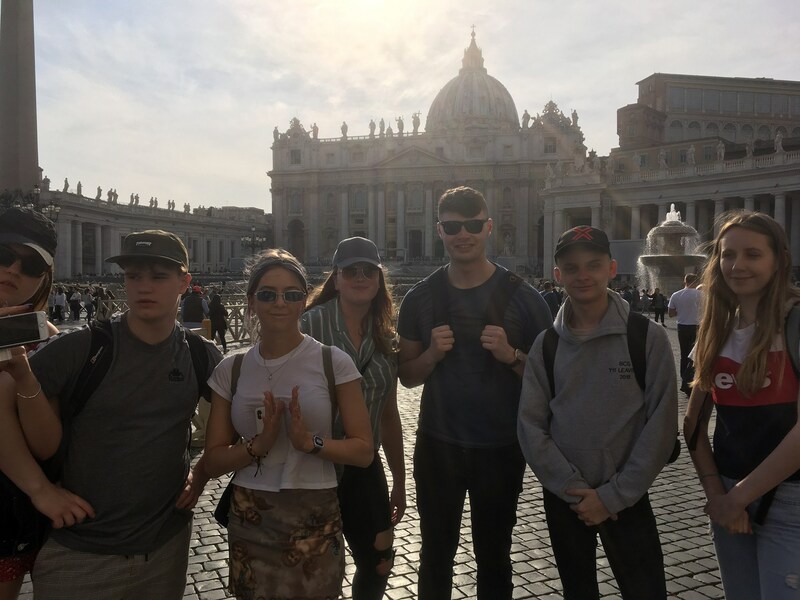 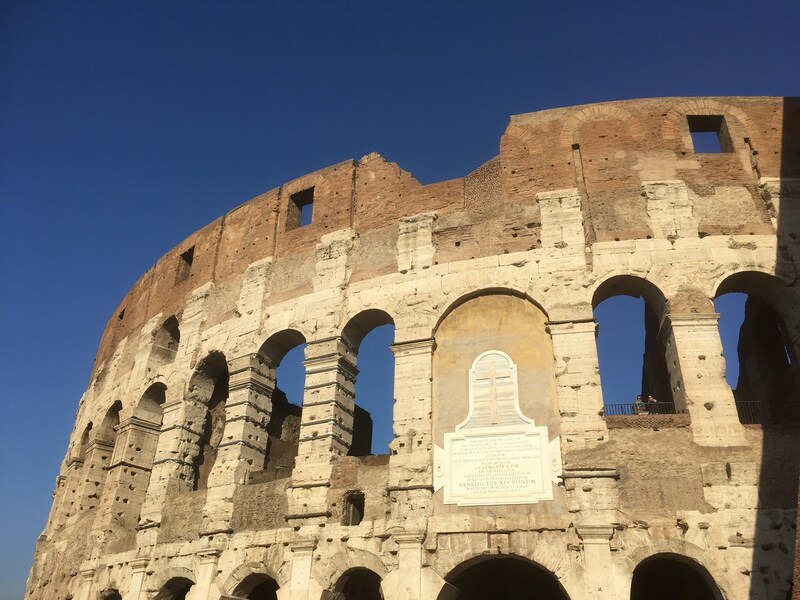 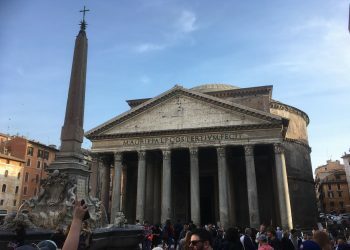 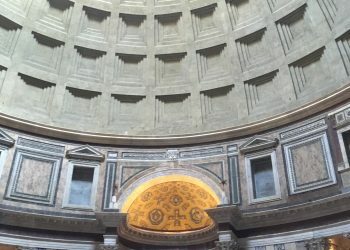 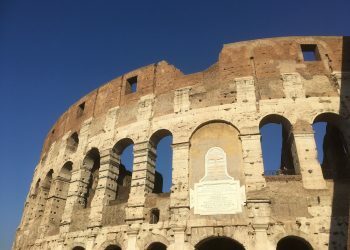 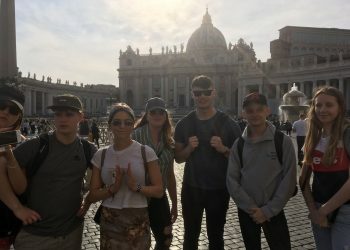 In the afternoon we strolled around the Eternal City, spending time in St Peter’s Square at the Vatican, Trajan’s the Pantheon and Piazza Navona. After a pizza dinner, we headed back to our hotel for a welcome rest via the iconic Trevi Fountain. 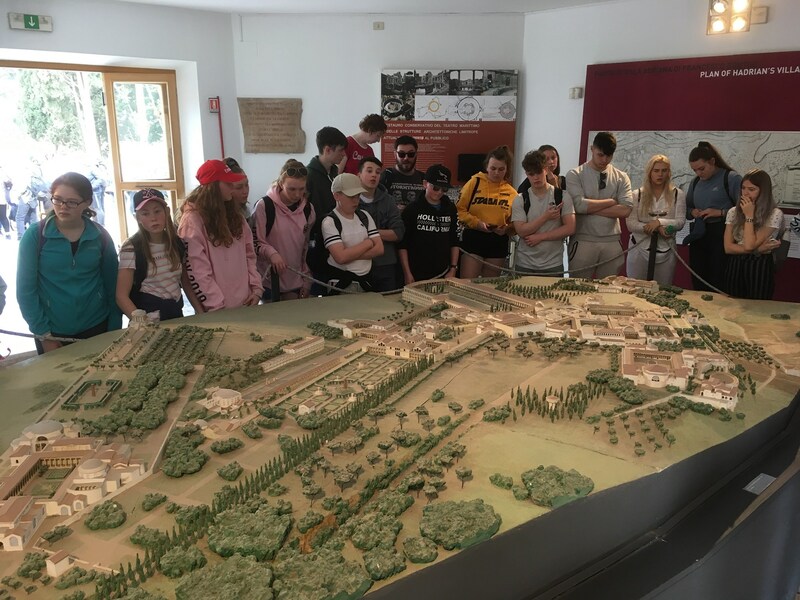 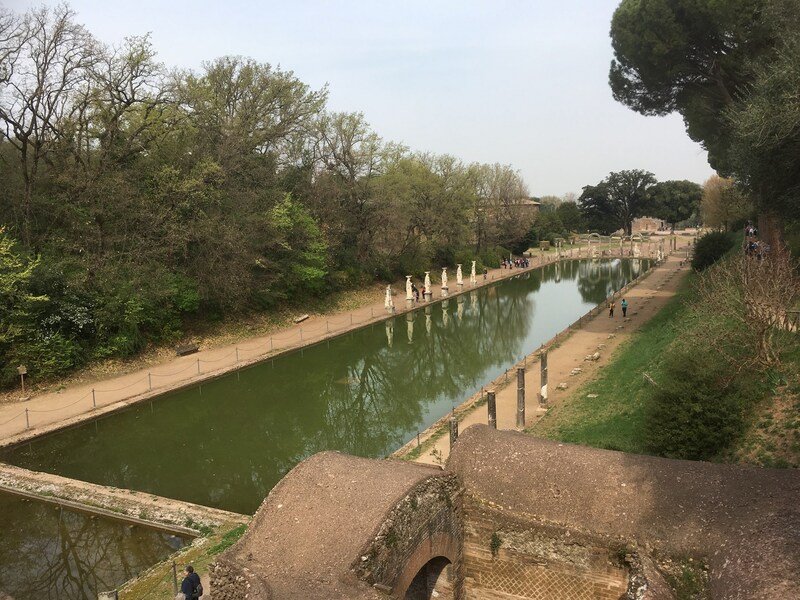 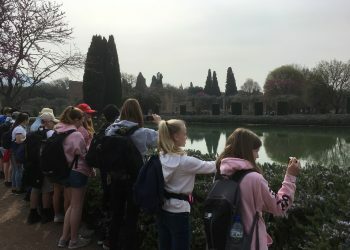 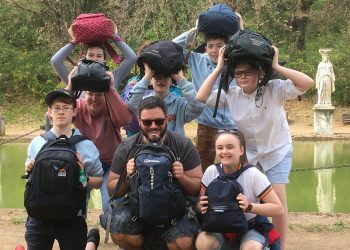 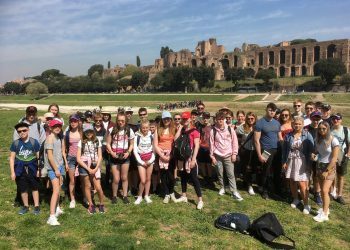 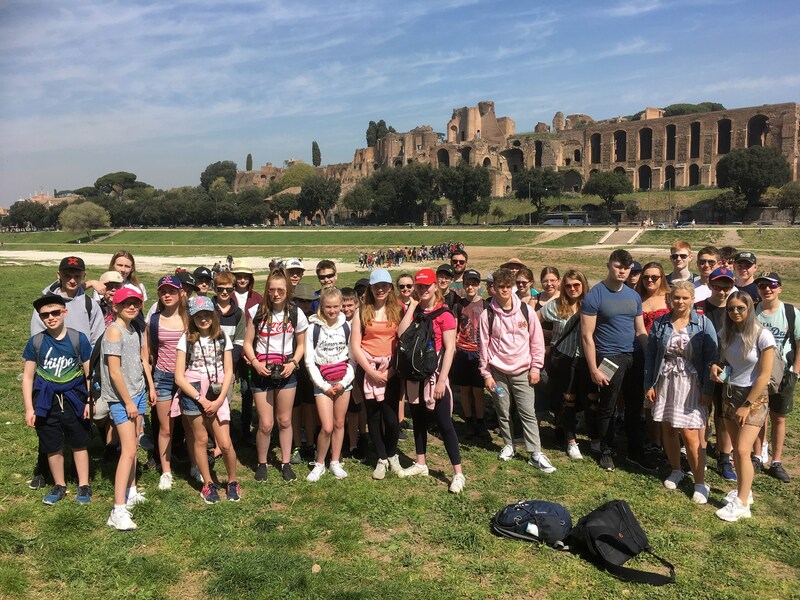 We said farewell to Rome shortly after breakfast and visited Hadrian’s Villa, an expansive country estate built for the famous Roman emperor. 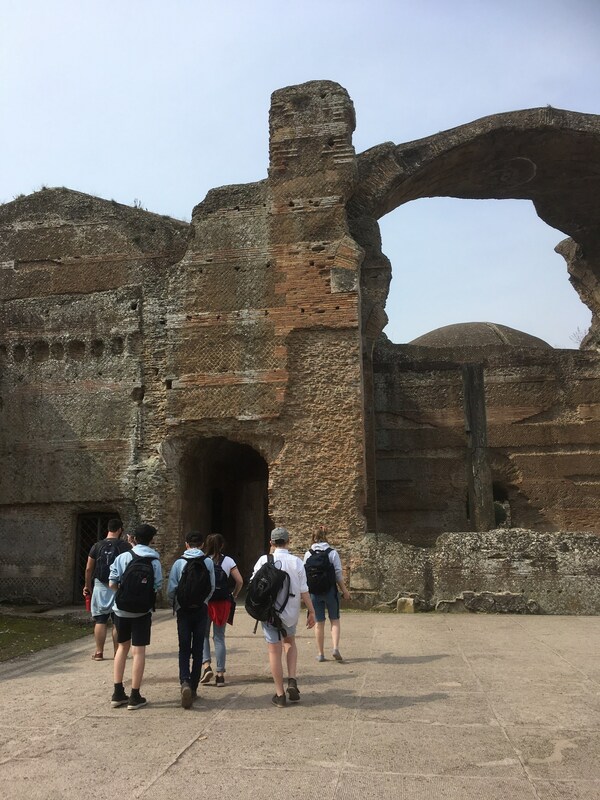 After viewing the ruins there we headed south towards the Bay of Naples for the second leg of the tour. 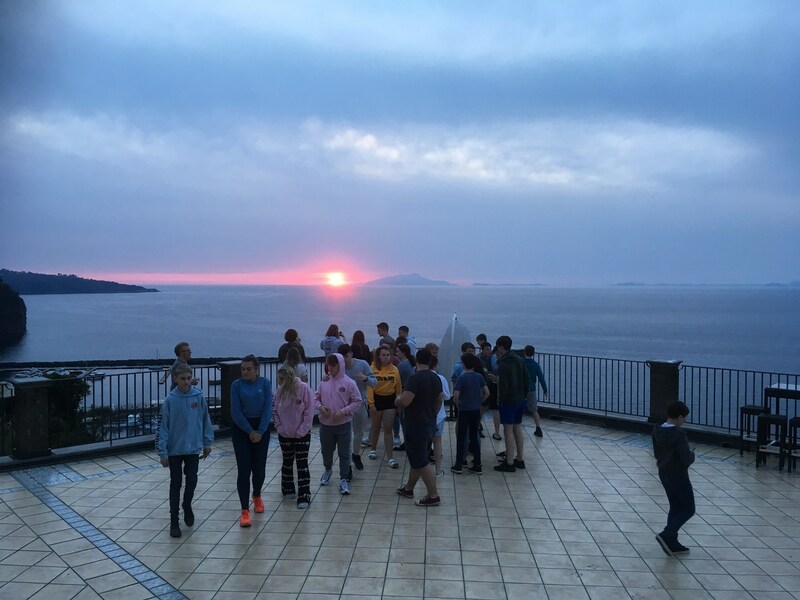 Our hotel in Piano de Sorrento is perched on a cliff top with spectacular views over the sea. 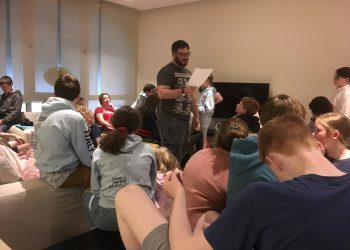 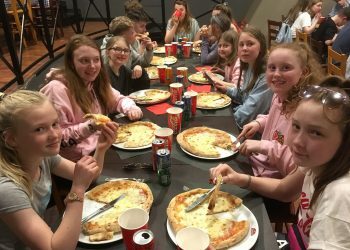 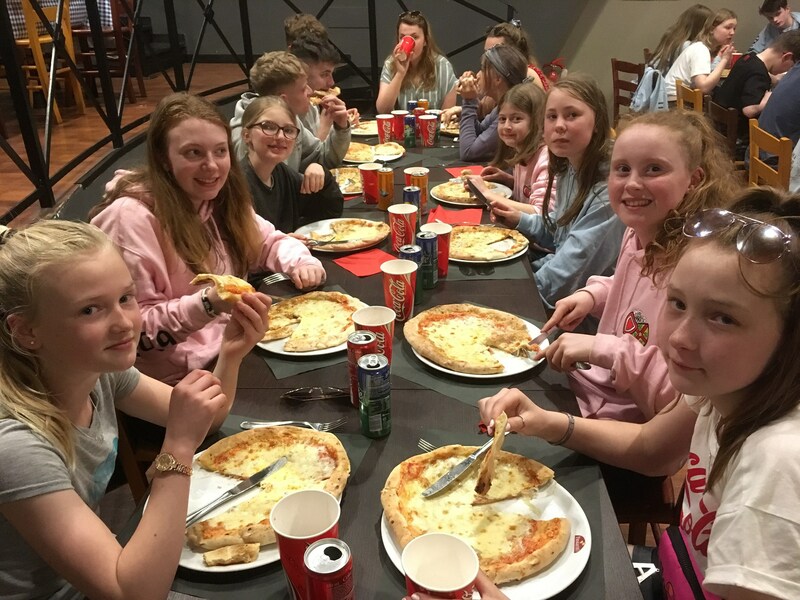 After dinner, the group relaxed together and enjoyed a quiz which tested their general and classical knowledge. 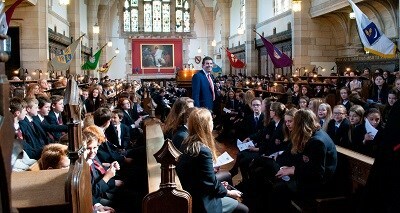 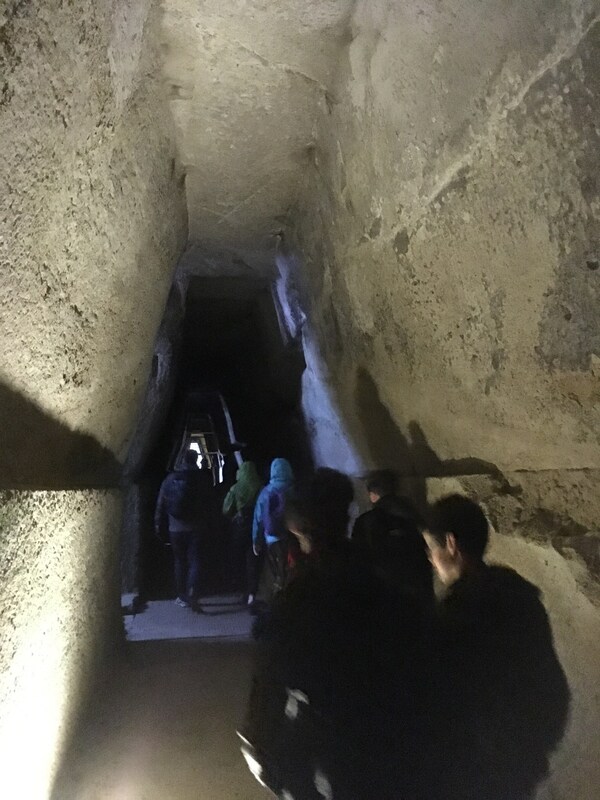 the tour was spent in three fabulous locations. 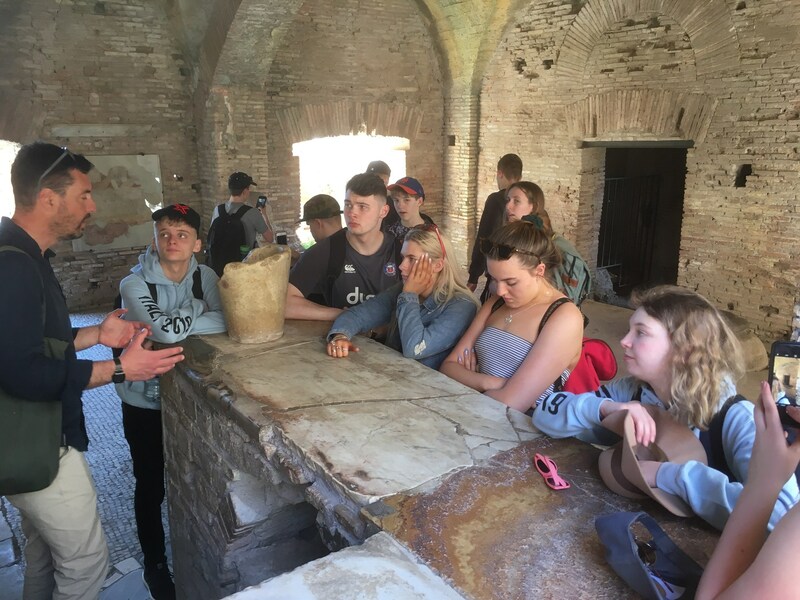 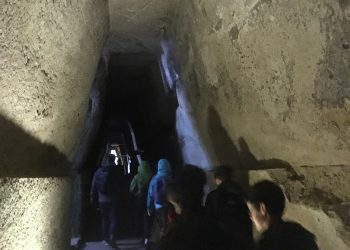 On the morning we travelled to the caves at Cumae, site of the fabled entrance to the underworld and home to the Roman Sibyl. 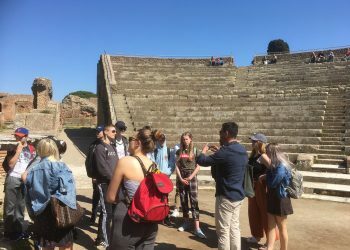 Following this, we visited the amphitheatre at Pozzuoli, the 3rd largest in the Roman world. 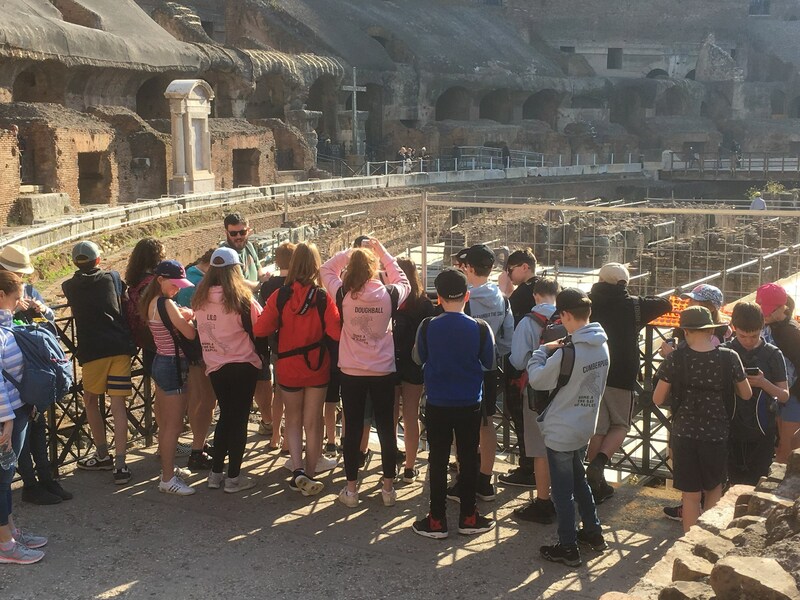 We were able to wander around underneath the arena to see where the wild animals and gladiators waited for action. 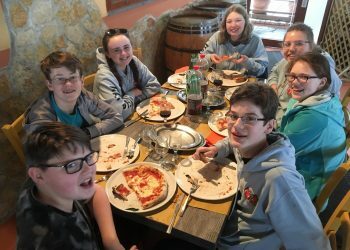 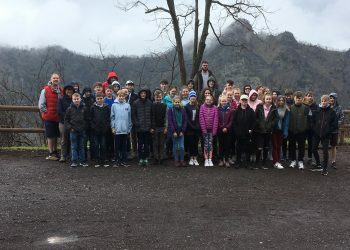 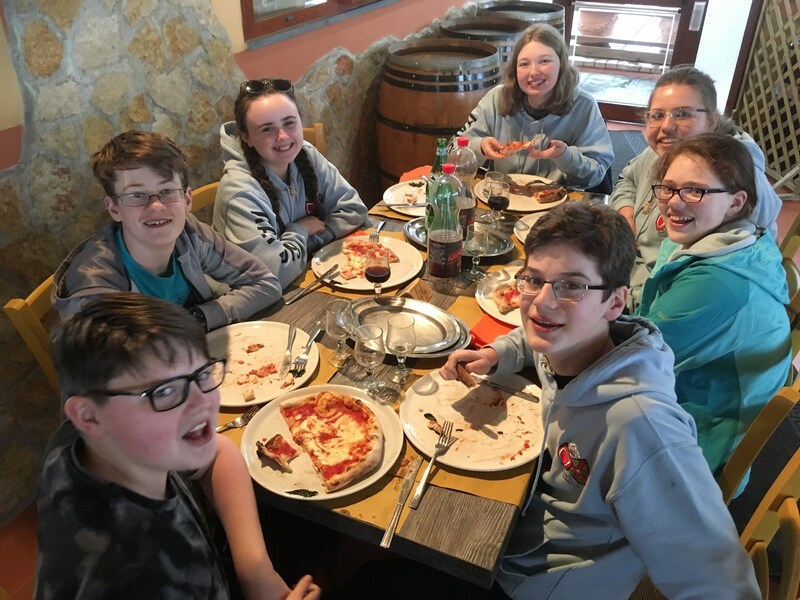 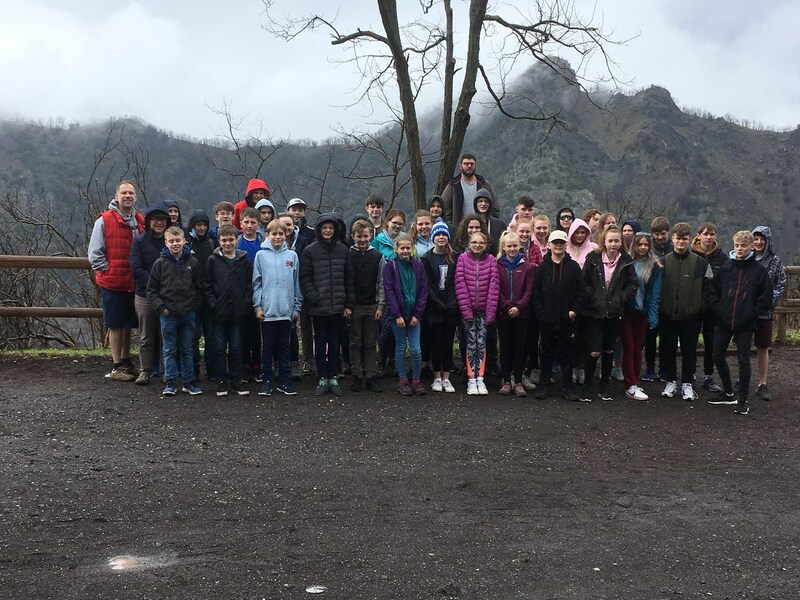 For lunch we enjoyed a traditional Italian feast on the slopes of Mt Vesuvius. 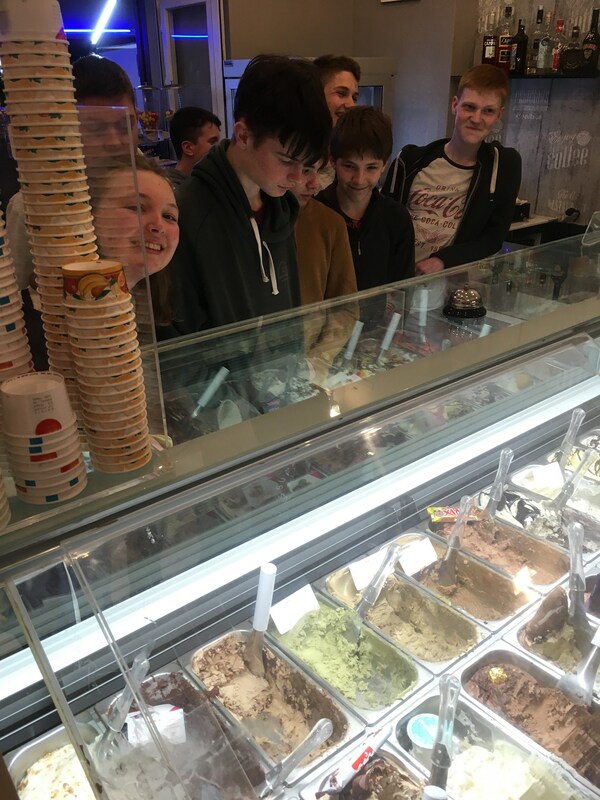 The day was capped off with a visit to a fantastic ice cream parlour.